One-click PDF linking from PubMed. Save your users thousands of clicks a day by providing PDF links for tens of millions of journal articles directly from PubMed. Minimize confusion and frustration navigating link resolver choices and publisher pages. Meet user expectations for fast and easy access to content. Simple to get setup and maintenance free! 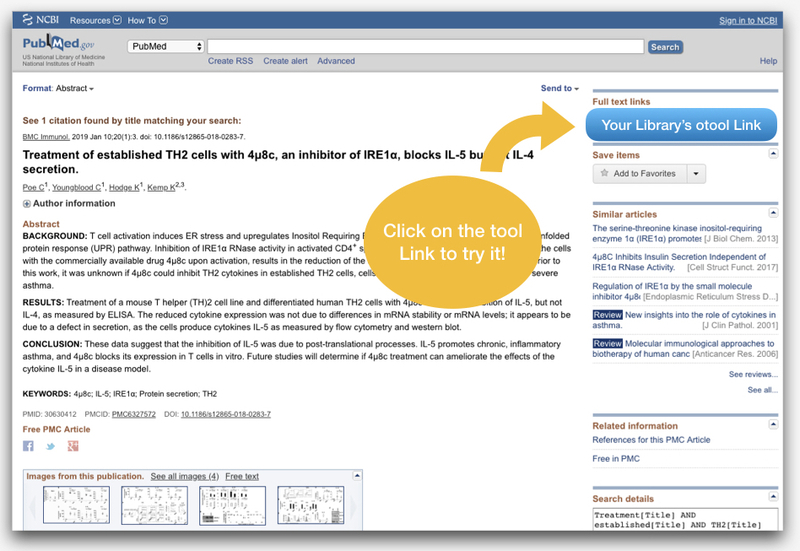 Now available for all libraries using otool linking from PubMed! 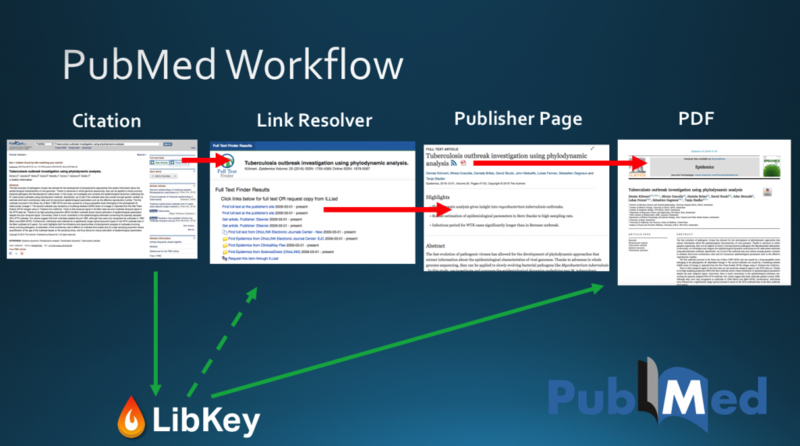 By maintaining knowledge of an institution’s holdings, authentication and the direct to PDF links, LibKey Link automatically accelerates the user process whenever it can from supported publishers and platforms. When it cannot, LibKey Link automatically forwards the user back to the traditional Link Resolver route without slowing down the user experience. LibKey Link can save a library’s user population tens of thousands of clicks a month by accelerating the journey to PDF directly. Simple to use; Powerful Results! Setting up LibKey Link is easy! Just fill out this simple form to register your current otool link with us. 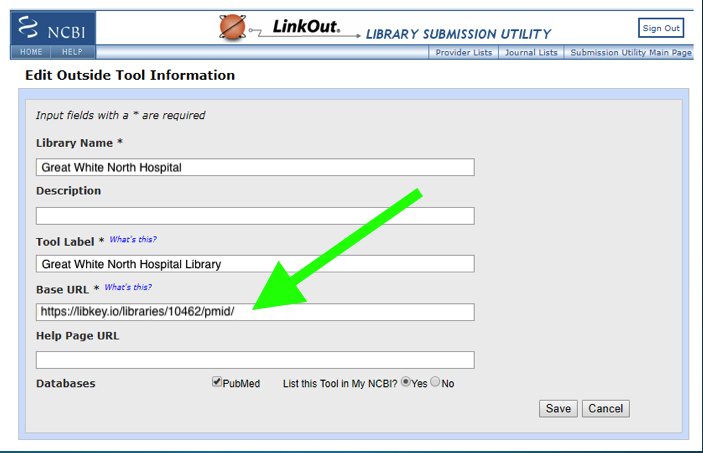 Then, our team will provide you with a unique LibKey Link to use in your Outside Tool Base URL inside Pubmed. Users will automatically be forwarded directly to the PDF as shown in the demonstration above or be redirected to your link resolver. Simple! Have more questions? Visit our support site for answers to detailed question about LibKey Link! Backed by the same team who brings you BrowZine, LibKey is based on robust processes and proprietary technology developed over the past seven years. The result: an almost magical process that brings users quickly and accurately to PDFs.